Visit APS at QH22 next to Monaco Yacht Club! Asia Pacific Superyachts owner-agents are excited to return and share new information of stunning Asia Pacific regions at the ultimate luxury rendezvous for the international elite clientele, the Monaco Yacht Show to be held September 27-30, 2017. 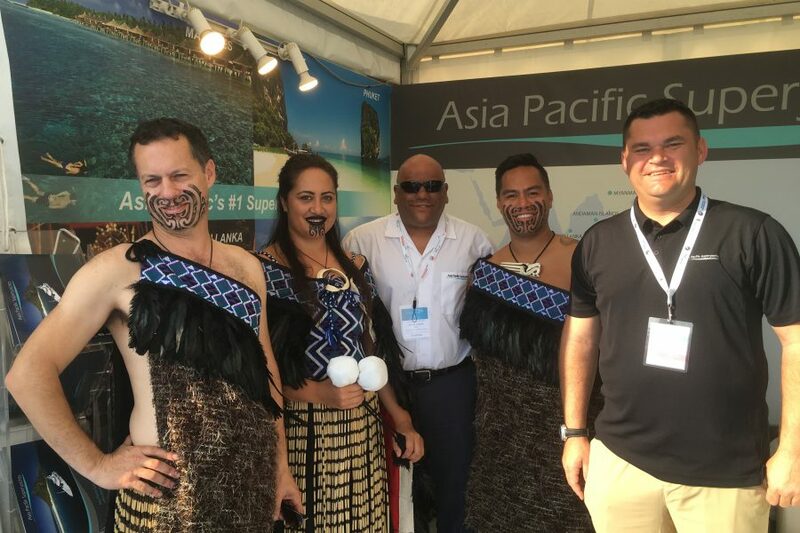 APS owner-agents at the MYS 2017 APS Stand QH22 at Quai De L'Hirondelle, next to the Monaco Yacht Club, will be on hand with the latest information and updates of cruising destinations throughout Asia and the Pacific for interested superyacht owners, captains, managers and other industry professionals. Gordon Fernandes, one of the founders of Asia Pacific Superyachts and General Manager of APS Phuket, and Myanmar and Duthie Lidgard of APS New Zealand, report agent-owners will be on hand to discuss the superyacht destinations of the Andaman Islands (India), Borneo, Cambodia, Fiji, Hong Kong, Indonesia, Thailand, Malaysia, Maldives, Myanmar, New Zealand, Philippines, Seychelles, Singapore, Sri Lanka and Tahiti. In discussing why APS is enthusiastic about returning to MYS, Fernandes explains, "It is important to us to have an opportunity to meet face-to-face with our past and future clients so we can help provide answers to owners and captains directly about cruising destinations and new regulations. We're looking forward to meeting up with many of their past clients as well as others interested in the Asia Pacific area". Asia Pacific Superyachts can provide custom itineraries from their APS network of superyacht experts, noted Fernandes, as well regulation changes for returning or new superyachts looking to cruise Asia and Pacific areas: "We'll be at MYS in force to share our new information and knowledge with our past and future clients. The most thrilling and least visited spots on the planet will be showcased with our agents ready to point out arrival and departure tips, secret anchorages, gorgeous cruising waters and fascinating land activities over cold refreshments".